When the longest serving mayor in Canadian history graces the cover of your magazine, it calls for a celebration. 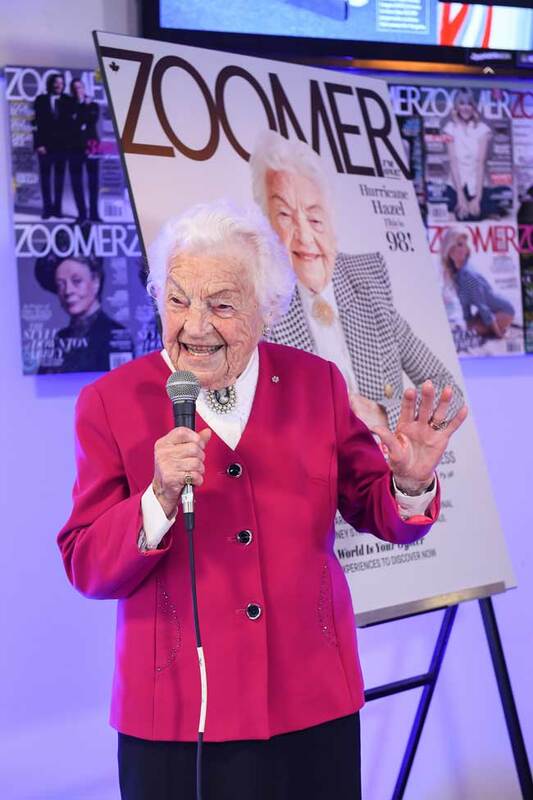 That’s why Zoomer magazine decided to hold a cover reveal event for Madam Mayor, Hazel McCallion who, at 98, is the publication’s most senior cover subject. The Hon. 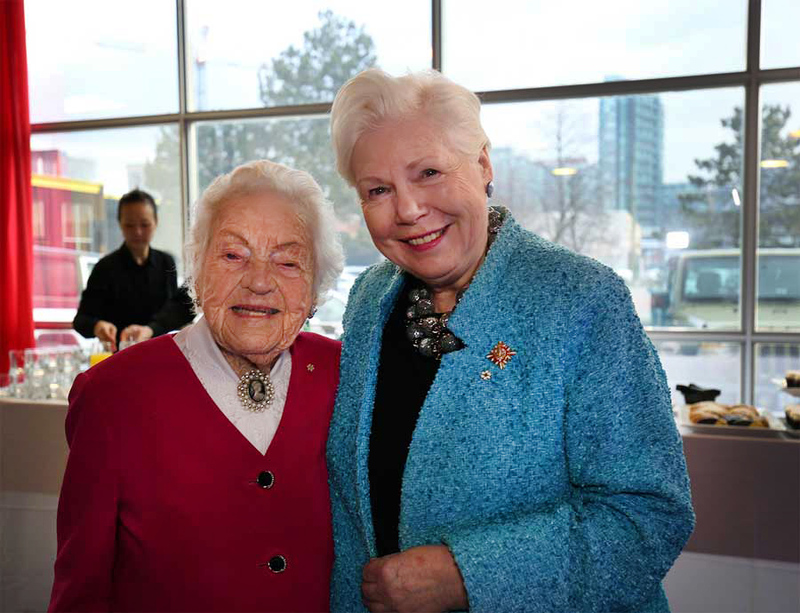 Elizabeth Dowdeswell, Lieutenant Governor of Ontario also attended the event, held at the Zoomerplex in Toronto. 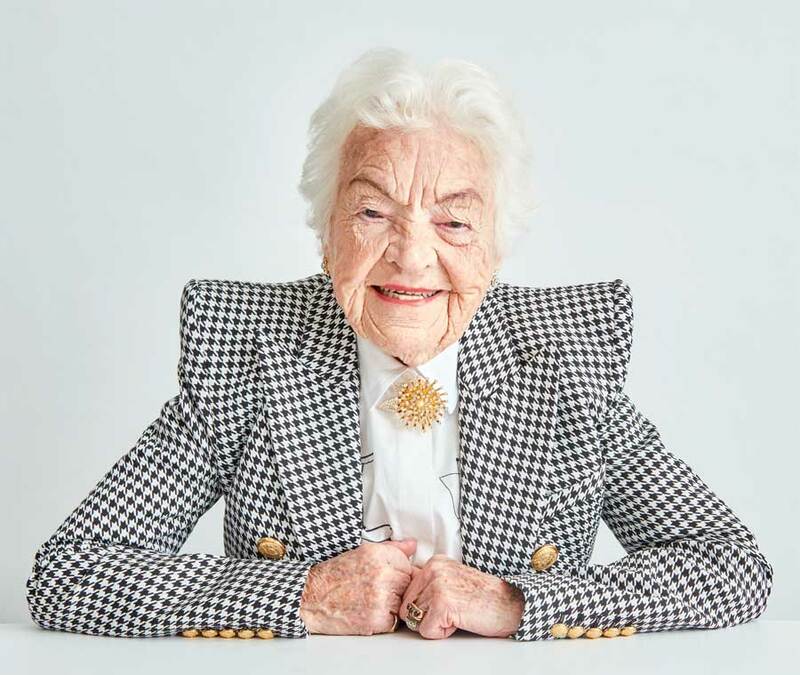 “We’re celebrating a barrier-breaking cover and a barrier-breaking woman, whose busting stereotypes about age and gender — and was a boss lady before boss ladies were a thing,” Suzanne Boyd, Zoomer magazine Editor-in-Chief, said of the legendary politician. Helping introduce McCallion was Zoomer founder Moses Znaimer, who is credited with suggesting the former mayor as a cover subject. Joined by Znaimer, McCallion personally unveiled the cover, spoke to the audience about the photoshoot and even provided some insight into how she remains so healthy and active. “Well it was quite an experience, I can assure you, I’ve had many [shoots] in the 44 years I’ve been in politics, but the photoshoot with Zoomer was just so unique,” she said. The former mayor, who was dressed in a variety of garments for the cover and inside shots — ranging from a vintage leather biker jacket to a Nordstrom blouse to a Balmain jacket — admitted she was a little outside of her comfort zone. “I usually shop at Walmart, well, Hudson’s Bay the odd time,” she said. Her style, she explained, was inspired by her desire to connect with her constituents during her run as mayor of Mississauga, Ont., from 1978 to 2014. “While I was Mayor I never drove a car that was above what the average man and woman drives in Mississauga. I drove an Encore. I said to the staff, when they leased the car, get me an ordinary car,” she said. Since she’s retired, however, Hazel says she’s indulged in a little bit of luxury. “Guess what, now [that] I’m retired I’m driving a Mercedes Benz,” she added with a laugh. The former mayor isn’t enjoying the luxury car from the passenger seat either. When it was suggested she make use of a chauffeur, she refused, adamantly. The importance of that independence along with maintaining a purpose in life is something she says she tries to pass on to her fellow seniors.